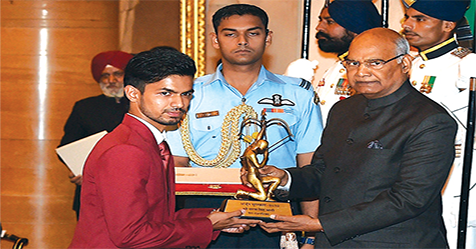 Para-athlete Varun Singh Bhati from Noida was presented with the Arjuna Award by President Ram Nath Kovind at the Rashtrapati Bhawan in Delhi recently. 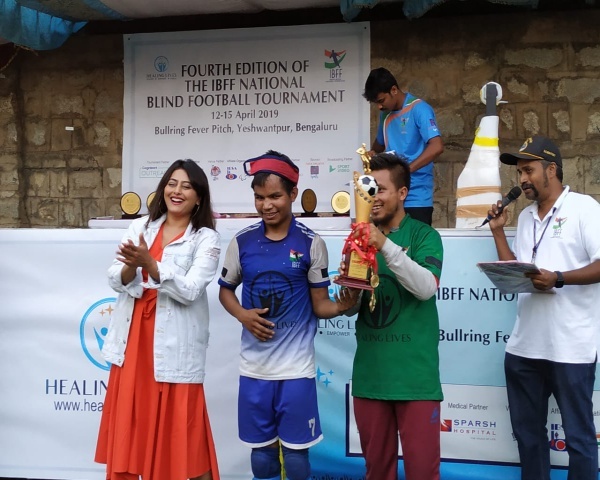 Varun was given the award for his bronze medal wins in both Rio Paralympics last year and the World Para Athletics Championships last month. Varun said that he had been working hard for the past four years for the Arjuna award and is very happy to receive the award. Varun Singh Bhati is a Para high jumper from India, who has been affected by Poliomyelitis since a very young age. 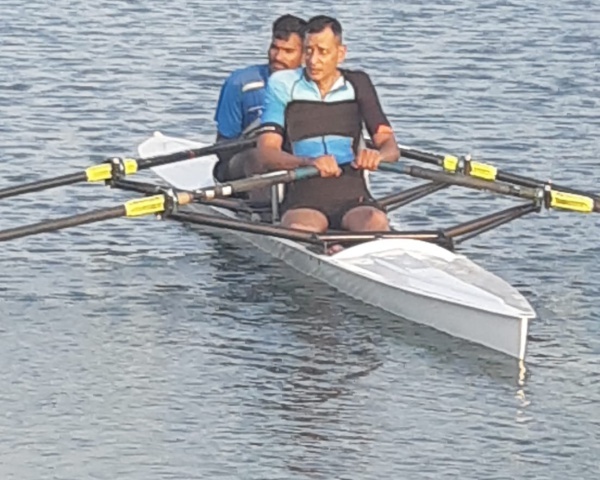 Varun joined sports during school days and has won many medals at national and international events.